Prayer is simply communicating with God and it doesn’t have to be complicated or difficult! It can be done anytime and anywhere. What an awesome Truth that the Creator of Heaven and Earth wants to spend time with us and develop relationship with us. Drawing near to God is done through prayer! We can express our hearts genuinely and in return, understand God’s. Prayer is also powerful! It is the tool we use to fight spiritual battles. Through prayer, we are protected, changed and even experience supernatural breakthroughs from strongholds! According to the Bible, believers are not only admonished to pray (Mark 11:24; Philippians 4:6; I Thessalonians 5:16-18; I Timothy 2:1-3; James 5:14-6), but also are given a promise that when two or more are gathered, Christ is in their midst (Matthew 18:19-20). Therefore, we gather in His name to seek His will and His direction. In coming together, there is potential for greater sensitivity to His will and for increased faith among those who gather as they witness and experience answered prayer. Also, in coming together, there is a potential for greater unity and power among those focused in prayer to overcome the enemy, to see souls saved, and to see God's Kingdom come forth in the earth. 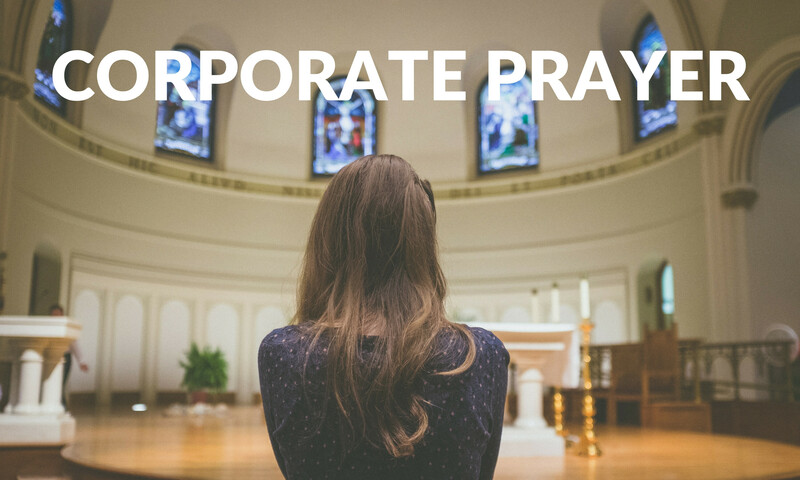 We currently meet for Corporate Prayer every 1st and 3rd Monday at 7:00 p.m. Please submit any prayer requests or praises reports below. We have a great team of people waiting to pray for you! Send us a prayer request of any kind! Whether it's for you, a neighbor, a coworker, or stranger, we have a team of prayer warriors diligently praying over each request. PRAISE GOD! We love to hear about great things God has done in the lives of His people. Let us rejoice with you and your praise report!